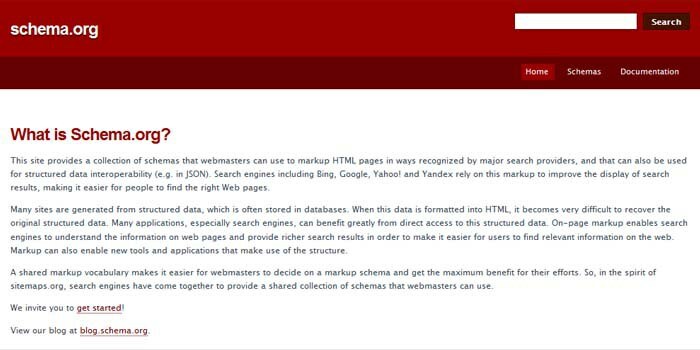 So what is schema? Schema, in SEO terms, is a set of descriptive terms created for search engine web crawlers and it gives them more detail about a web page. It was set up by google, Microsoft (Bing), Yahoo and Yandex (the Chinese search giant) and was launched in June 2011. It tells the search engines what your data means rather than just what is written on your site. This allows search engines to understand your site better which leads to better categorising it for searches. What are the advantages of using schema? Schema can improve your SEO dramatically. But it doesn’t just improve your search engine rankings. Have you ever noticed that some sites have a different look than others on Google’s search results? They may have sub-headings or extra information such as product ratings etc. This is known as rich snippets and is created by google on sites that use Schema markup. So you don’t just rank high but your site will stand out on the page meaning that your site are far more likely to be chosen. With these benefits you would think that everyone would be taking advantage of Schema. But even 6 years after its creation it is surprising that a very low percentage of people, particularly local businesses, are using it. In fact a study conducted in 2014 suggests that only 0.3% of all websites tested by google use schema and since then it hasn’t grown nearly as much as you’d expect. The findings of the study also suggested that of that 0.3% the majority were big businesses. The suggested reason for this is because only big businesses have the skilled webmasters who could implement schema. The lack of use by so many of this great tool means that we can have a great advantage over other sites. If we add schema to your site then you have an advantage not just in SEO terms but if google use the data to create ‘rich snippets’ which makes your business stand out from the rest. The unique look of your site on the search engine results will draw the users eye and make your site far more likely to be picked particularly if you have good ratings (5 gold stars) just below your website name.